Perfection in water entertainment—great sound, exciting lights, cool beverages! It’s our goal to make sure there’s no limit to how much fun you can have in your own backyard. Enjoying the pool is certainly tons of fun, but Party Float takes it up to the next level. Here is a totally waterproof boombox that floats upright, ensuring you’ll always have your music right with you in the pool, even while you’re bobbing around on your big green dinosaur floaty. It’s got 40 watts of power, so your music is vibrant and lifelike. You can stream your favorite tunes wirelessly from any Bluetooth®-enabled device and control everything (play/pause, next, back) with the Bluetooth track controls. It’s even got a built-in mic so you can answer your calls hands-free—no need to get out of the water. Plus…..Party Float has dual cupholders so your favorite beverage is right at hand. Where it should be. But the most amazing thing are the LED lights on the underside of Party Float that illuminate the water with exciting colors for a truly special, one-of-a-kind experience. Great sound, wireless streaming, hands-free call answering and multi-color illumination—Party Float delivers the fun—and refreshment!—like nothing else can! 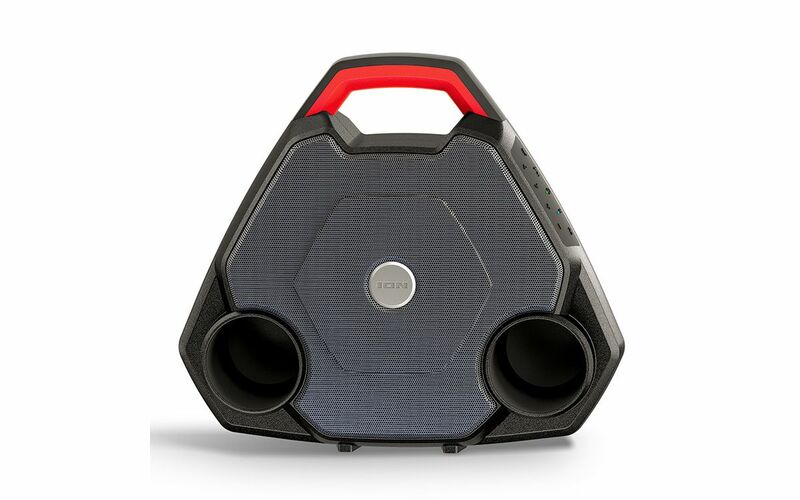 40 watts of dynamic power brings your music alive!